Submitted by Dan Frost on 9 August 2012. This morning as I perused my news page online over 6:45 coffee, I came across an article that announced '62% of Americans take at least one 10 minute walk per week.' Bravo! This fact less than filled me with national pride when I thought of the other 38% and the likelihood that they did not in fact 'run' those same 10 minutes. In the same vein however, I got to thinking about the past month here at Kapp Linne and a few statistics. 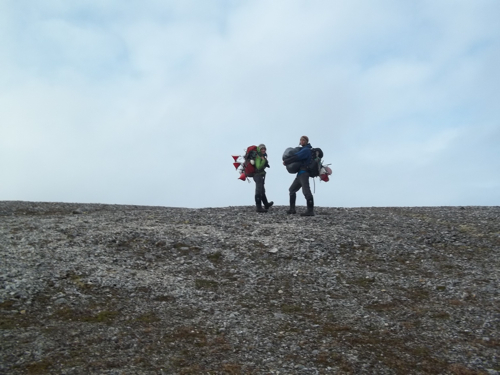 We've been here for 29 days of field work. 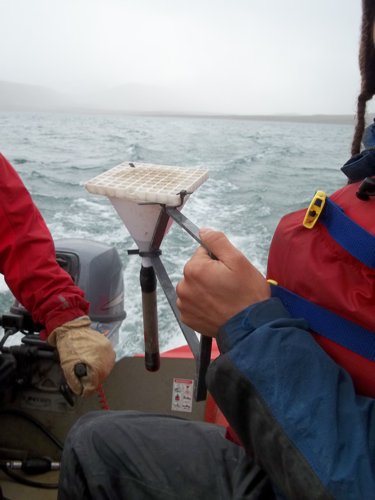 Today, Wednesday the 8th, was our last day on Lake Linne and in the field. In those 29 days we've each probably had about 3 glacier days on average, a few half days, and one rest day that most everyone went on some sort of extended hike. Putting those numbers together that accounts for about 54 miles running to and from Linnebreen and 208 miles for the daily activities to and from Linnevatnet, the karst, and everywhere is between. 29 days, 262 miles. That doesn't seem like all that much when you think of the things we've seen, the 2,259 photos I've taken, and the lbs (done with metric for a bit…) we've carried. Had you asked me a year ago though if I thought I'd be joining the equivalent of the arctic mall walkers for a marathon every three days for a month I'd have bet against it (262 divided by 10!). 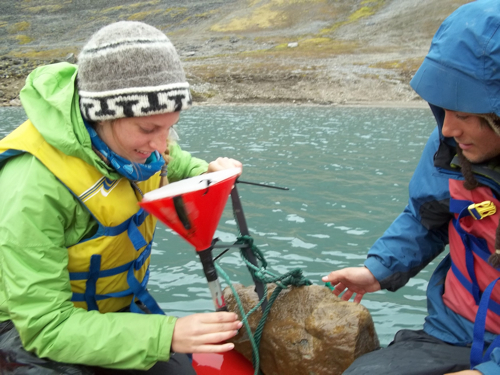 This last Wednesday was spent many different ways for folks on the Svalbard REU and AG212 course. 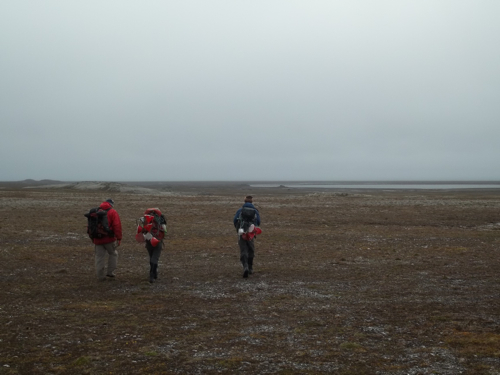 A large group headed glacier bound to bring back the last of the gear, while Lauren and Sara each worked on their last thesis recon. for this trip, and I finished the day with what has been my default limnological friends Mike, Helena, and Dion on the lake gathering the temporary traps we'd set just weeks earlier. The traps all proved to contain more than adequate sediment and thus Helena could be guaranteed a thesis. Some had smaller amounts that were best filtered and saved while others ranged between the average amount we'd gathered from year long moorings to even flowing over the receiving tubings and into the funnels.